Welcome to Happy Homes, where we believe your home should be built with happiness in mind. In the booming Denver real-estate market, Happy Homes Ltd., a real estate investment company, prides itself on bringing quality craftsmanship to every project. 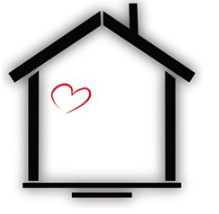 Since 2014, Happy Homes Ltd. has been finding houses that need quite a bit of love in the Denver and surrounding area and revitalizing them. The right way. Specializing in craftsman style details, Happy Homes creates spaces that are welcoming, spacious and full of custom finishes. Our goal: to turn a project into a happy home. Finding unique properties that have fallen by the wayside, are under-utilizing the current space, or are completely out of date and turning them into beautiful, turn-key properties has been our mission. The Happy Homes team consists of husband and wife owners Mike Smith and Catie Lawrence. Have questions? Contact us!